4Tel provides specialist hardware and software services for modern radio-based train control and rail network management. The company's products are already in use by large railways in Australia where they have been optimised for remote and regional lines. All systems have appropriate safety accreditations and regulatory approvals for their use. 4th Leg run the Yeppoon Triathlon Festival and the Yeppoon Running Festival. We also coach triathlon (swimming, cycling and running) with coaches in both CQ and the Sunshine Coast. Our coaching services extend Australia wide. Providing a fast, efficient and reliable skip bin service for the collection and removal of waste. We also have a Vac-Truck with the capabilities for pipe locating, septic tank cleaning, portable toilet cleaning and hire. We specialise in transport and disposal of hazardous and contaminated waste. Absolute Waste's skip bins are suitable for a variety of industrial and commercial industries including Builders Sites, Offices, Construction Sites and Industrial Operations. Absolute Waste service all of Rockhampton, Capricorn Coast and surrounding areas, with the region's best range of skip bins for hire. With Absolute Waste's range of skip bins, we can ensure the best waste management solution for your home or business. AECOM is a fully integrated professional and technical services firm that is positioned to design, build, finance and operate infrastructure assets around the world. We provide a blend of global reach, local knowledge, innovation and technical excellence in delivering customised and creative solutions that meet the needs of our clients' projects. ALLROADS are an established and reputable civil contractor that provides a broad range of services for clients across a variety of industry secgtors and pride themselves on offering flexible solutions to meet clients' specific project requirements. Almost Anything Web & Graphic Design is a Rockhampton-based branding, identity and digital marketing studio with clients across Australia. We help businesses identify their ideal customers, find their point of difference, develop their brand messaging, and then execute marketing tactics in line with these strategies. "Successful businesses work with Almost Anything." Australia is ANZ's largest market, serving approximately six million Retail and Commercial customers through a network of around 686 branches, 28 business centres, 2,337 ATMs and leading online and mobile banking applications (as at 30 June 2017). Archer Park Rail Museum contains many exhibitions associated with railways and the Rockhampton Council Tramways from 1899. Rolling stock, including the Purrey Steam Tram, and rail memorabilia have been collected from a variety of sources including private collectors, former rail workers, the "Friends of Archer Park", and Queensland Rail. A revolutionary digital soundscape system of sound effects and commentary enhances the experience as you wind you way through the authentic exhibitions. Purrey Steam Tram rides are available on Sundays between 10 am to 1pm and Family Fun Days are held on the fourth Sunday of April, June, August and October, where there is a gold coin entry and small fee to ride the tram for those 14 years and over. The Tram does not run between the end of November until the beginning of February. Archer Park Rail Museum is located on the infamous Denison Street, (where the main rail runs down the centre of the street) in Rockhampton, between Archer and Cambridge Streets. This wonderful station is sure to have items to interest for many different age groups, and truly is a rail lovers delight. Stylist and Journalist, Penny Hunt, and Photographer and Designer, Naomi Pelletier. They combine years of working within the industry to provide Creative Content for businesses throughout Australia to highlight and promote brands. Artisan Gluten Free Bakery is your coeliac friendly place to relax in Central Queensland. Our 100% gluten free bakery cafe is situated in the heart of Rockhampton CBD's East Street and offers fres bakery products including pies, cakes, slices baked in store. Origanic coffee and specialty teas also available. EST 1955, Ashton Engineering Pty Ltd is an Australian family owned & operated business that specialises in General Engineering, Fabrication and Machining. We are based in the city of Rockhampton in the state of Queensland. We are located within close proximity to the Bowen Basin Coalfields, Stanwell Industrial Park, Yarwun and Gladstone Industrial Areas, and also in the heart of some of Australia's best farming and grazing land. 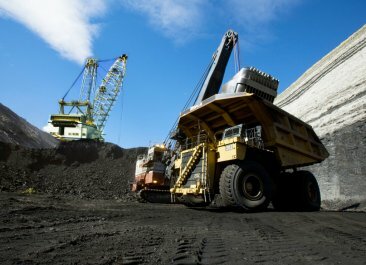 Thus we specialize in custom-built equipment for the Mining and Agricultural sectors, as well as other industries. By the use of our wide range of equipment at our Workshops, we are able to carry out most - if not all - of the repairs or fabrications our clients may require. Guided, nature-based tours in Carnarvon Gorge, including full day walks and Night Safari Tours. Beaches on Lammermoor Apartments is located directly opposite the beach, and encapsulates the relaxed tropical feel of Yeppoon and the Islands. It is less than 100 metres to the beach, with luxurious one, two and three bedroom fully self-contained apartments. Whether corporate, leisure, family, couples or single, Beaches on Lammermoor Apartments provide overnight, weekly or monthly accommodation. With apartments similar in size, style and layout as a two or three bedroom, two bathroom home, why rent a holiday house when you can holiday in style? Each apartment has undercover, secure parking with lift access to your apartment. Once inside, your spacious apartment has a full European kitchen, separate laundry, spacious dining area (great for entertaining guests and friends! ), large living area which opens onto the generous balcony complete with balcony furniture. You can then take advantage of the facilities onsite and relax around the lagoon style pool complete with kids wading pool and separate spa. Fire up one of the barbecues or shoot some pool on the pool table. Located right on Farnborough beach. About 1 km from Yeppoon CBD. Powered and unpowered sites for all sizes and types of RV's and tents. Swim, fish or stroll along the beautiful beach at your doorstep. Camp kitchen and laundry facilities for guests. No pets allowed. Australia's national beef expo is one of the world's great beef cattle events and is held just once every three years in Rockhampton, Queensland, Australia. Beef Australia 2018 will be held from May 6 to 12 and will be a celebration of all facets of the Australian beef industry. It will facilitate new trade and export opportunities by exposing the local supply chain to the international industry leaders; it will feature more than 4500 cattle from over 30 breeds; a trade fair promoting more than 500 businesses; a symposium, seminars and property tours to deliver new research information to producers; and restaurants, celebrity chefs and cooking demonstrations for visitors to appreciate the quality and flavour of Australian beef. Come inside and find out how you can be part of the fun. The Stirling Rockhampton provides a modern and professional property delivering exceptional service to today's smart and savvy traveller. Betta Demolition and Asbestos has over 10 years' experience in the industry. Our services include: asbestos removal; asbestos sample testing; asbestos management plans and registers; and demolition. BIG4 Capricorn Palms is a lush green oasis situated half way between Yeppoon and Emu Park and within walking distance from beautiful Mulambin Beach. This modern and quiet retreat is where you can get away from it all. There are different layouts of ensuite cabins - open plan, one and two bedroom units which are fully self-contained with air conditioning, verandah and outdoor setting . They also have a 24 bed dorm suitable for a family get together or a school camp. A Conference room is available for meetings or family gatherings, seating up to 40 people. Large powered grass or concrete sites cater for caravans, buses, fifth wheelers, camper trailers and tents and have room for the boat. Clean amenities, saltwater pool, camp kitchen and barbecue are all provided for your comfort. A 34 metre water slide, jumping pillow, playground, open air theatre and Pedal cars are available to entertain the children. Keppel Bay Marina is just two kilometres away where you can launch the boat to go fishing or catch the ferry to Great Keppel Island for snorkelling. Close by are Cooberrie Park Wild Life Sanctuary, Koorana Crocodile Farm or Byfield National Park. Blue Dolphin Caravan Park is ideally located in the heart of Yeppoon Queensland, the gateway to Southern Great Barrier Reef. With only a short stroll to the beach, boutique shops, and cafe's it is the perfect base for your Capricorn Coast holiday. Whether you are caravanning, camping or require a self-contained cabin, we offer affordable and comfortable accommodation in a private and well-maintained setting. Budget is proud to offer the best value in car rental. Not just great rates but a variety of additional services to provide you with added value each time you rent from Budget. Over 160,000 rental vehicles in fact, from small cars to luxury cars, hatchbacks to convertibles, light vans to trucks too. There's a vehicle to suit you, whatever your needs. Typically, our cars are no more than six months old so you get to drive the latest models. And of course every vehicle is safety checked and cleaned before every rental. There's a vehicle to suit you, whatever your needs. Typically, our cars are no more than six months old so you get to drive the latest models. And of course every vehicle is safety checked and cleaned before every rental. Butler Partners provides professional geotechnical, geo-environmental and groundwater consulting services throughout Central Queensland and beyond. We also operate NATA-accredited construction testing laboratories. Our clients include Federal, State and Local Government departments and a range of private companies and publicly listed organisations. Byfield Campstay offers basic budget accommodation for campers with tents, vans, camper trailers and caravans (up to about 22 foot). Amenities include a camp kitchen with a fireplace and barbeque, two bucket showers and two Ecoloos. We are a pet-friendly venue and amenities have disability access. The cost is $15 / night / site (up to 4 people). Calibre Consulting is a leading provider of professional infrastructure and built environment solutions across a wide range of markets. From our origins as a structural engineering firm in Melbourne in 1953, we have grown and diversified to offer a comprehensive range of services across the Asia-Pacific region. We now have over 650 employees in offices throughout Australia and New Zealand, as well as in Singapore. Our portfolio of services includes civil, structural and transport engineering, water and environmental design, planning and surveying, and management services. Core services are enhanced by specialist teams delivering project management, construction safety audits and contract administration. We are a member company of Calibre Group. Calibre Group?is a leading diversified provider of engineering, consulting, project delivery, construction and asset management services to the resources and infrastructure markets in Australia and select international markets. Cap Coast Home Loans provides a mortgage brokering service to provide lending and financial advice for clients looking to purchasing their new home. We can also look at Refinance, debt consolidation, Self Manage Super lending, Car finance etc. We have access to a range of Lenders so that we can provide the best chances of approval at the best price. "We make it easy"
Print, Voice & IT. We provide integrated or stand-alone Document Management, Telecommunication ICT Solutions and general office technology to SME, Government and Enterprise customers with a service approach to deliver complete customer satisfaction. CAPconnect delivers the highest standards of sales & service to Rockhampton, Gladstone & Emerald. CAPconnect is a professional and forward thinking services company specialising in the latest business machines for your company. Over 5000 objects and the 1869 'Peak Downs' homestead await you at the Capella Pioneer Village complex on the Gregory Highway at Capella, in Queensland's Central Highlands region. The homestead is the largest restored station homestead of its kind in Australia, with 60,000 hardwood shingles on the roof and mortice and tenon spotted gum timber walls (no nails). The museum's 17 buildings include the woolshed from 'Gordon Downs' station that has a tale to tell about the Central Highlands origins of the 1891 Great Shearers Strike, and, the Central Queensland Cinema exhibit - the only one of its kind in the region. Learn the magnitude of the post World War Two 'Food and Britain' scheme. The Queensland British Food Corporation held 200,000 hectares of open downs grasslands across the Highlands in 1949 and had 27,000 hectares under crop in 1950. The operational headquarters were at Capella. Come and see the tractors and farming machinery from that era and those that followed, including Jackieboy - made from WWII tank components. Enjoy history come alive during the annual Heritage Day, held from 9am on the second Saturday in September. Special arrangements are made for coach and school groups, who are always welcome. Powered Sites, Unpowered Sites (grass only), Self contained Units (ensuite), On-Site Van (no ensuite). Shady Sites. All sites have concrete slab, power, sewer and water. Friendly Staff. Clean & modern amenities. Coin operated Laundry. "Happy Hour" during Tourist Season (May - September). Capricorn Caravan Centre is Central Queensland's premier Concept Caravan dealer. We stock new and used caravans and camper trailers, and specialise in customising your new purchase to be your home away from home. Capricorn Caves, an ancient coral reef, offers daily guided easy walking tours, wild caving and abseiling for the adventurous, palaeontology explorations suitable for adults and families. The property features a caravan park and cabins. Special events include Underground Opera and Summer solstice light spectacle. These magnificent caves located north of Rockhampton are winner of many major tourist awards and advanced ecotourism accreditation. Capricorn Food and Wine provides the premier event for Central Queensland showcasing gourmet food and wine, local produce and the region's bourgeoning hospitality and music scene. The Capricorn Food and Wine Festival has something for everyone. The weekend offers a relaxed and inviting atmosphere for foodies, wine connoisseurs and everything in between. 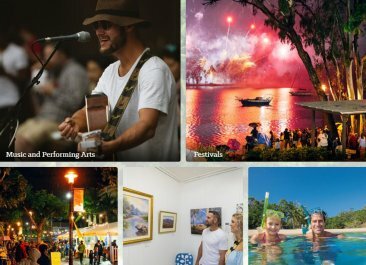 The Festival celebrates the redevelopment of Quay Street along the banks of the Fitzroy River, showcasing Rockhampton's elegant streetscapes and majestic sandstone buildings. From St Lawrence in the north to Agnes Waters in the south, Alpha in the west and further afield as needed, the Capricorn Helicopter Rescue Service provides a high quality aeromedical and search and rescue service freely to the people of Central Queensland. Capricorn Survey Group CQ Pty Ltd is a firm of consulting surveyors Rockhampton, engaged in all aspects of surveying and land management. Our mandate is simple; provide a professional service to our clients, keep to the forefront of developments in the surveying profession and represent the profession in the best possible way to the public. Situated on the banks of the beautiful Causeway Lake on the Capricorn Coast, The Causeway Caravan Park is an ideal spot for the family holiday on the Capricorn Coast. The Causeway Caravan Park offers quiet, peaceful, leafy powered sites with a safe swimming area. The Causeway Caravan Park is located about halfway along the Scenic Highway between Yeppoon and Emu Park on the Capricorn Coast. It is lakeside, close to picturesque beaches, Boat Ramps, Handy to Island Cruises, golf, and Bowls Clubs. Family Fun on the water at the beautiful Causeway Lake. Causeway Lake Boat Hire was established in 1965 and has provided families with a safe, enjoyable and affordable way to enjoy the Causeway Lake waterway. Hire a 4HP Tinnie to do a spot of fishing or any non-motorised watercraft for some relaxing fun with friends, family or on your own. Centrecare aims to strengthen people and communities through the provision of professional social services, inspired by compassion and recognition for human dignity. Central Highlands Development Corporation (CHDC) is a not for profit organisation who is the lead economic and tourism development agency for the Central Highlands region of Queensland, Australia. CHDC facilitates a wide range of projects and initiatives across the region and is proactive in providing relevant advice, statistical information, workshops and networks to support business, industry, government and community. Central Highlands Regional Council was created on 15 March 2008 following amalgamation of the former Shires of Bauhinia, Duaringa, Emerald and Peak Downs. Our region extends over approximately 60,000 square kilometres, stretching from Arcadia Valley in the south to the Peak Ranges in the north, east from Boolburra to Bogantungan in the west. The Central Queensland Hospital and Health Board and Central Queensland Hospital and Health Service were established on 1 July 2012. Delivering quality, integrated health services focussed on the patient. The Central Queensland Military Museum houses artefacts from the military history of Rockhampton and surrounding districts. It includes American Army uniforms from World War II and a room devoted entirely to Rockhampton history. The collection includes: Women at War display, Personal diaries, war photographs, Light horse memorabilia, Badges and Medals, Personal collections from Vietnam Veterans. All of the items are donated by the local community. So come along with your family and friends and explore the past at this very well presented museum. Tour groups and schools are welcome to come along and are catered for on request. Step back in time at the CQ Military and Artefacts Museum. Centrepoint Finance Yeppoon are your Financial Solutions Specialists, providing you with a range of broking, consultancy and advisory services. By understanding your needs, and then providing you with the products and advice necessary (in a timely and efficient manner), you will be able to achieve your business and personal financial goals. Rockhampton based construction company. QBCC Lic 1044665. Lic Category - Builder low rise. Currently build north to Mackay and south to Bundaberg. Residential construction working with local clients and experienced with volume building for marketers, investors and first home owners. Unit projects and town house complexes. Also moving into smaller commercial projects. With four generations of printing experience within the Anderson family, City Printing Works can help with all your printing and stationery needs. CMC is a mid-tier Civil Construction Company that has delivered over $1.4B worth of major road, bridge and rail infrastructure projects to clients across NSW and Queensland. CMC has third party accredited management systems, is accredited under the Australian Government Building and Construction OHS Accreditation Scheme and holds an industry prequalification status of R5/B4/F100. We provide training courses to help individuals obtain the skills and qualifications required to safely work, and stay up-to-date with changing standards in the resource sector and beyond. Funk it up with our unique Homewares, Furniture, Art Work, Gourmet Foods and Spices selection, maybe something from the Man Cave. Gifts for any occasion. Free home decor and design assistance. If it's not in store, you can bet we can find it! Remodelling, building or just want to funk things up, we're right on the Main Beach Yeppoon. Coffee House Apartment Motel is conveniently located at the corner of William and Bolsover Streets in Rockhampton's CBD close to local bars, restaurants, banks and shops. When you stay at Coffee House Apartment Motel in Rockhampton, you can take advantage of our Free WiFi and on-premises restaurant serving traditional and modern cuisine, in addition to our clean, air-conditioned rooms and comfortable beds. Need a Coffee Bean change? Starting a caf? or restaurant or have an events or functions area - we can supply you. Free on loan machines and grinders - over 20 coffee blends - weekly delivery - barista training and machine and maintenance support. Coffee of Capricorn is a local coffee distribution of all things coffee, based in Yeppoon and servicing Central Queensland. If your business is looking for coffee, call us on 1800 331 374. At Cooberrie Park Wildlife Sanctuary, you can cuddle a koala, hold a snake and hand feed their very friendly kangaroos and wallabies whilst you experience more than 350 fascinating native animals, across 70 Species. They successfully breed many endangered native animals including koalas, cassowaries, parrots and marsupials and have more than 350 animals, including dingoes, emus, wombats, possums, sugar gliders, koalas, cassowaries, bettongs, potoroos, fox, turtles and a large variety of native birds. The sanctuary can be found less than ten minutes from the Capricorn Resort, 28 minutes from Rockhampton and 15 minutes from Yeppoon Beach. Their interactive animal show is at 1.00 p.m. daily. Hold a Koala for only AUD15.00 extra and enjoy their swimming pool, rainforest, bushwalk and barbecue areas. Get really close to their crocodiles and other reptile friends like large pythons, lizards, turtles and skinks. Their many parrots want to have a chat and dance. They receive no government funding and rely solely on admission and donations. Cooberrie Park is the only Wildlife Sanctuary in Central Queensland that takes care of sick, injured and orphaned wildlife; the animals appreciate your support. Cooper McKenzie Marketing is a multi faceted, full service, marketing, design and advertising agency that started out over 10 years ago with one client, bags of enthusiasm and a major point of differentiation. CQ Fibreglass Direct is a leading manufacturer and repairer of composite Ventilation tubes, fittings and Venturi's. All our ventilation products are manufactured to the highest standards in our workshop located just outside of Yeppoon. We also supply a wide range of FRP products ranging from floor grating, walkway, pultruded structural profiles, platforms, ladders, access systems, jetties, reinforcing. We have a versatile and creative team that has the capability to deliver on any scale project. CQG Consulting (CQG) is a leading Queensland based professional services consulting firm with a head office in Rockhampton, that has been delivering intelligent, innovative and sustainable environmental, planning and engineering solutions to the Agriculture, Energy and Resources, Government, Manufacturing and Construction, Ports and Coastal, Tourism, Transport, and Urban Development markets since 2004. CQ Security are a locally owned and operated 2nd generation family business operating in the CQ area for over 15 years. Services offered by CQ Security are Traffic Control, Security Guards and Crowd Control, Cash in Transit and Confidential Document Destruction. CQ Soil Testing are locally owned and operated soil testing company specialising in the investigation and sampling of soil and groundwater. We are licensed to carry out site classifications and on site wastewater disposal investigations. CQUniversity Australia has been on a phenomenal trajectory since 2009. A focus on excellence, engagement and equity has led to remarkable growth in student numbers, new courses, new campuses, infrastructure, research impact and reputation has seen the University emerge as one of Australia?s truly great Universities. Crest Assured assists small business with development, documentation and implementation of quality, safety and environmental management systems. They apply a fit for purpose approach, keeping in mind the International and Australian standards that are the common benchmark. Crest Assured's objective is that systems add value to client businesses. C.T. Harris & Company delivers personalised accounting, financial, and business advisory services tailored for the unique challenges our clients face. We actively support and facilitate the growth of rural and regional businesses by focusing on strategic planning, problem solving, and implementing new and innovative approaches. Davey Engineering Solutions Pty Ltd is a professional Engineering Consulting Service specialising in Civil Engineering and Project Management Services around Yeppoon and Rockhampton. The business strives to offer personalised service and innovative design solutions to multinational clients. The Department of Prime Minister and Cabinet has a primary responsibility to assist Indigenous communities, families and individuals access economic opportunities arising from major projects and enterprises occurring in the Central Queensland region. Design+Architecture Rockhampton, QLD, 4700 provide modern and alternative design services to a premium group of clients throughout rural Queensland and based in Rockhampton. We have no standard designs, we provide original and unique design and documentation services to each project, striving to keep abreast with the latest construction techniques. DigitalRez markets and supports the worldwide RezExpert Property Management System. Manages Online Bookings for accommodation, time-based hire (canoes, kayaks) and tickets. Allows guests to book from your website, Facebook and all the 3rd party OTA sites like booking.com and Expedia. Our clients include Caravan Parks, Motels, Hotels, Backpackers, Watercraft hire. Catholic Education in the Diocese of Rockhampton is committed to high quality teaching and learning for 16,200 students who are enrolled in Kindergartens, Catholic Primary Schools and Colleges from Bundaberg to Mackay and west to Longreach. Discovery Parks - Rockhampton is a quality property situated in North Rockhampton and covers an area of 10 acres with beautifully landscaped gardens. They offer a large variety of self-contained cabins and villas to suit every budget and need from individuals, families to larger sporting groups. Discovery Parks - Rockhampton, is the ideal destination for a romantic getaway, the family holiday or large sporting group and corporate functions. The resort is perfectly located for all shopping needs with Rockhampton's largest shopping centre and Homemakers centre both within walking distance. The property offers to guests two swimming pools, Kangaroo Jumper cushion, half size court tennis and playground. Whether you want to make the most of every minute or simply while away the hours, Discovery Parks - Rockhampton is full of unexpected surprises. Imagine this: tropical bushland, a calm lake and beachfront surround you on your holiday. Where is this dream? Happiness can be found among the palm trees of the Southern Great Barrier Reef at Discovery Parks - Coolwaters, Yeppoon. Forget worries and let go of the routine of daily life - you're on one of the friendliest coasts in Australia. The fun begins right outside your cabin or caravan with a massive water park, BMX track, jumping pillow and resort style pool. If you're ready to breathe in the fresh air of the great outdoors, take a kayak out onto Causeway Lake or spend an afternoon on the bushwalking trails behind their park. Head a little further out to meet the playful monkeys at Cooberrie Park Wildlife Sanctuary or climb through the Capricorn Caves. Where adventure and true peace meet, you'll find Discovery Parks - Coolwaters, Yeppoon. Double Threat Charters Yeppoon is an 8m Leisurecat that runs charters out of Rosslyn Bay Marina. We offer a wide range of trip options and do everything from spending the day cruising around the islands to extreme sportfishing or spearfishing. Our skipper is also an accredited PADI Freediver Instructor. The Dreamtime Cultural Centre, based in North Rockhampton is the only indigenous Cultural Centre in Central Queensland and promotes greater awareness of Aboriginal and Torres Strait Islander history and culture through guided tours, educational visits and hands on cultural activities! This includes face painting, didgeridoo demonstrations, dance routines and promotional displays. In addition ...Dreamtime staff are available to visit schools for talks and provide entertainment to Elders in home and community care. Stay at Driftwood Units and enjoy Yeppoon at its best: Our lawn stretches to the sand dunes of Farnborough Beach! Driftwood Units are 5 minutes drive from Yeppoon in a quiet and tranquil location. Gaze over the ocean and Keppel Islands from your unit. We have off-street undercover parking and room for boats and trailers. Provider of project management, engineering management consulting services, tender writing and assistance with contracting to Defence and Government. 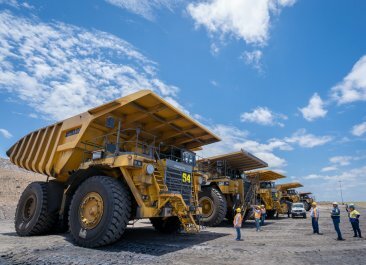 Dry Hire Solutions, established in Rockhampton servicing Central Queensland with mining support and auxillary equipment hire needs. Locally owned and a family run business that has a strong foundation of quality service backed by quality well serviced equipment. equipment. A heavenly retreat awaits at Echelon Apartments Yeppoon on the Capricorn Coast, with prime beachfront position and panoramic ocean views. Situated on Anzac Parade, less than 50 metres from beautiful Yeppoon Main Beach, divine views of the Keppel Islands can be enjoyed in absolute privacy from a choice of 40 luxury holiday apartments that come complete with their own outdoor entertaining balcony - extending seamlessly from contemporary open planned living areas - so self-contained, you will never want to leave. Echelon Apartments offer one, two and three bedroom apartments for you to come and relax and enjoy the facilities. Fully self-contained, guests have everything at their fingertips with the added enjoyment of being able to use the guest rooftop swimming pool and adjoining alfresco dining and barbecue area. Enjoy a drink or delicious meal in Echelon's retail precinct where shopping, dining and entertainment are only minutes away. Yeppoon's beachfront provides endless family fun with the soon to be completed state of the art waterpark facility. Holiday makers love Yeppoon - as much for its front door access to the Southern Great Barrier Reef as its classic seaside village blend of boutiques and recreation activities. Working towards 'preserving the world's natural brilliance'. Ecosure is one of Australia's largest fully certified environmental consultancies, helping government and the private sector achieve desired outcomes while maintaining compliance and minimising natural disruption. Emerald Cabin & Caravan Village is centrally located within walking distance to the CBD, shopping centres, botanical gardens and many other tourist attractions. We overlook Emeralds 18 Hole Golf Course which has a Club House, Bar & Bistro. We are across the road from Emerald Lawn Tennis, Netball Club & Town Pool. The Emu Park Museum is a volunteer organization , who have been providing information and valuable assistance to the general public since 1984. The Museum also acts a sub-tourist information body, and has many pamphlets and brochures for the visitor. The Museum offers research assistance for those seeking information about past residence and happenings in and around Emu Park. The Museum has a vast collection of railway paraphernalia inc. old buildings, trolleys and models, including a working model railway. Other collections of note include natural history, dolls, cameras, hand tools, bottles, shells, gramaphones and old photographs including one of the ?famous? old Croc which hung on the outside wall of the Pine Beach Hotel. Be sure not to miss our recently opened Maritime Museum which contains a huge, exquisite collection of outstanding model ships ranging from the earliest vessels through icons such as Endeavour and Victory along with more modern naval vessels and commercial vessels. Located in the heart of Emu Park, this holiday accommodation features six units. Two bedroom, air-conditioned with full kitchen and laundry facilities, it is ideal for families and groups. Linen supplied. Cafes, supermarket and the pub just around the corner and the beach is less than five minutes walk away. Bookings taken through Professionals Emu Park, located on site. Looking to sit back and take it easy for a while? Emu's Beach Resort is perfect for you. Situated in the casual stress-free central Queensland coastal town of Emu Park, Emu's is the perfect place to sit back, take it easy. Endeavour Inn Emu Park provides guests with a most enjoyable experience, blending comfortable accommodation and friendly personal service with a unique convenient setting, that's as beautiful as it is tranquil. The semi-self-contained units have a light and airy feel. Each have their own private balcony that enjoy sea breezes and overlook Emu Park's idyllic village setting with the famous Singing Ship and Keppel Islands as a backdrop. Surrounded by kilometres of pristine beaches and located in the centre of Emu Park's Central Business District, from your unit it's a short stroll to any one of four beaches as well as conveniences such as the local pub, restaurants, surf club, bowls club, shops, supermarket, beauty therapists, tennis court, skate park and children's playground. Basking in the excellent Queensland subtropical climate, the Capricorn region offers an array of experiences for every traveller, featuring some of the most breathtaking and diverse natural coastal beauty available. The doorstep boasts the Great Barrier Reef, Keppel Isles, diverse wetlands, dramatic ranges, national parks, waterfalls and as the Beef Capital of Australia, some of the best Outback country around. Ergon Energy is an electricity retailer to homes and businesses in regional Queensland. We also maintain and manage the regional Queensland electricity network. Evans Edwards Chartered Accountants has a long-standing reputation for delivering service excellence and assisting clients in achieving their business and financial goals. Established in December 1980, when Tony Edwards and Bob Evans merged their firms to become Evans, Edwards and Associates, we continue to provide a personal and professional advisory service to the Rockhampton, Capricorn Coast and Central Highlands regions. Ferns Hideaway is a secluded unique family owned and operated colonial styled resort and caravan park nestled beside a rainforest creek on 40 hectares of Sclerophyll forest in Queensland's tropics. Ferns is situated 39 kilometres north of Yeppoon at Byfield in Central Queensland, Australia. Featuring the rare Byfield Fern in abundance along many of its bushwalks, this property offers a variety of activities to occupy all ages. The Restaurant is open for lunch Friday, Saturday & Sunday and dinner Saturday night starting from 6pm with our delicious modern a la carte menu comprising the best of fresh local ingredients. Ferns boasts an array of activities complementary to our patrons. With a tennis court, bush walks, beach volleyball court and a fleet of Canadian canoes you will never run out of entertainment here at Ferns. Or if you would prefer a relaxing holiday then head to the solar heated spa or simply spend the day lazing around the pool. Complete with country hospitality, log fires, live entertainment on weekends, licensed bar and an abundance of friendly wildlife, be prepared for a fun filled time for all ages in a truly natural wilderness surround. Fisherman's Beach Holiday Park (formerly Bell Park Caravan Park) is set in the very picturesque village of Emu Park on the Capricorn Coast. A short 30 min drive from Rockhampton and 10 minute drive from Yeppoon. Fisherman's Beach Holiday Park provides a relaxed, family friendly environment where friends meet, new friendships are made in a unique holiday experience. The park is owned and operated by Next Generation Holiday Parks. We offer a range of accommodation: powered and unpowered sites and self contained cabins. Fitzroy Basin Association Inc. (FBA) is Central Queensland's leading natural resource management (NRM) body. We work to protect the Fitzroy Basin's special places and species, promote sustainable industries, and reduce the impacts our region has on the Great Barrier Reef. At over 156,000 km2, and including over 20,000 km of waterways, the Fitzroy Basin is the largest river system draining into the waters of the iconic Great Barrier Reef. More than 3,700 agricultural businesses operate in our region, and about 20 per cent of Queensland?s 12 million head of cattle are grazed here. Footlights is a true Australian gem. Our delicious 3 course dinner and 2 hour comedy variety show is perfect for any occasion or just a great day or night out. Footlights has been entertaining people for more than 35 years. Footlights it's for you. Freedom Fast Cats takes you through the spectacular Keppel Bay Islands; located at Southern Great Barrier Reef near the Tropic of Capricorn, and boasting some of the most pristine beaches, and unspoilt habitats the reef has to offer. Join the experienced crew for a memorable day exploring the Keppel Bay Islands. They have a range of different cruising options to suit all ages. If you like a more laid back pace, sit back relax and soak up the scenery as you cruise the coves and beaches. For the more adventurous type they have glass bottom boat cruises, snorkelling and the famous boom-netting. Guaranteed to be a highlight of your visit to the Capricorn Coast! Freight Solutions Australia Group operates a fleet of road vehicles throughout the Central Queensland region and inter-state. Hauling steel products, building materials for Civil construction, equipment and machinery. Our services include: heavy haulage, crane trucks, extendable & drop deck trailers, tilt trays, low loaders, container transport, mine site hot shots and long distance transport. Freight Solutions Australia Group have the solution to all your transport needs. The Frenchville Sports Club is one of CQ's largest and well known sports clubs, celebrating 70 years of history of community and sports involvement and contributions. There's something for everyone with full dining, bar, gaming, function and conference facilities with live music on Friday and Saturday nights showcasing our best local musicians. Frenchville Sports Club sponsors major sporting events such as Barra Bash and Challenge the Mountain. When you book a tour with Fun Over Fifty you're travelling with a true family company. One that includes 3 generations of women from one family, a husband, office staff, and our on-road crew of drivers and hostesses. Although everyone has their own roles to fulfil, we all work together to bring the very best in touring to all of our guests travelling here in Australia or overseas. It is our pleasure to invite you to join us on a journey of discovery exploring pristine beaches, rugged wilderness, iconic characters of the outback and rich colonial heritage. Our commitment to old fashioned values is the cornerstone of Fun Over Fifty. Genuine customer service, extensive Australia-wide products, select International destinations and great value, are the key features of our philosophy. We take care of every last detail, ensuring you live the experience of a lifetime. Our itineraries have been meticulously planned to ensure you have the time of your life! The focus is always on fun with Fun Over Fifty. Tours include great entertainment, exceptional experiences hosted by expert guides, delicious food, and the ever present support of a friendly and professional on-board crew. Funtastic is a 60+ft Sailing Catamaran, the largest sailing cat within the Capricorn region. She has been safely taking happy customers sailing through the stunning Keppels and Snorkeling the Great barrier Reef for 15 years. Your experienced skipper, Rod with Ita, will take you for a full day on one of the most eco friendly trips you'll take exploring the most secluded islands, reefs, beaches thoughout the Keppels that only this type of trip can take you. Kayaks - Snorkeling - Paddle boards are all inclusive, the day is yours to relax - explore - chill or be as adventurous as you want to be! You can snorkel the clear waters of the Great Barrier Reef in the company of sea life - turtles and corals all in a kaleidoscope of colour, walk the secluded beaches and don't forget the whales! June to September. We cater for all ages, all abilities. A beautiful morning tea with cakes - fruit - biscuits - coffees / teas and drinks await you at the end of your first snorkel / swim in the morning with deli and cheese platters for the afternoon sail home watching the sun go down. Leaving at 9am and home by 5pm, it's the best day out to visit the Keppels. Fundastic Cruises do Day Trips - Sunset Trips - Overnight Trips - Private Events. Located in the picturesque and tranquil Rockhampton Botanical Gardens is the inviting Garden Tearooms. Surrounded by the lush grounds of the gardens, the tearooms offer a place for visitors to sit back, enjoy the view and a bite to eat. Select from classic menu's of High teas, Devonshire teas, platters to graze on, seasonal gourmet salads and snacky finger food. The Garden Tearooms can cater for an array of different styled functions with fully customisable menu's available to suit each events specific needs. There's no better place to celebrate the origin, appeal and sheer beauty of precious and semi-precious stones at the home of the largest sapphire fields in the Southern Hemisphere. The annual Gemfest Festival of Gems is recognised as one of the most popular celebrations of sapphires and gems in Australia. Crowds of over 7000 people converge on Central Queensland's Sapphire Gemfields for the annual four-day festival, held every year in the second week of August. We're a Promotional Products Distribution Business located in the Central Queensland District, providing fresh and innovative promotional ideas. We can give your Business or Event an image and "Get you Noticed" with quality promotional merchandise in a highly competitive marketplace. Being independently owned gives us the opportunity to be competitively priced and provide personalised customer service both nationally and internationally. Gibb Group is a dynamic Australian property development and property management company, specialising in industrial logistics property and suburban office and business park space. Gibb Group leverages the extensive and combined experience of its staff, who have all been significant participants in major property markets in Australia and overseas. Gibb Group is committed to creating and managing great industrial and commercial spaces while continually working with clients to improve the use of their property. Gibb Group have an enviable track record in the design, development and delivery of industrial and commercial facilities. Supportive, professional, open development planners who guide and support you with your project. From start to finish - residential, industrial, rural, retail, commercial, transport, specialist projects - you name it, we enable it. Gideon Town Planning will create and implement exceptional outcomes for your project. GSPC offers a comprehensive array of services in the Surveying and Town Planning field and through these services GSPC is able to function as a Project Management firm coordinating all aspects of a development. Great Keppel Island Hideaway welcomes guests to share their barefoot island paradise, an authentic locally owned Island resort situated on the Southern Great Barrier Reef, merely 30 minutes ferry from Yeppoon. The Resort boasts simplistic back to basic cabin style accommodation, a fully licensed restaurant and bar overlooking The Great Barrier Reef with 17 pristine white sandy beaches. Great Keppel Island Holiday Village is located in a gum tree bush setting less than a minute's walk to two perfect swimming beaches. Accommodation includes twin bed rooms; double bed canvas tents erected on timber decks, ensuited cabins which sleep up to four people, and campsites to bring your own tent. All linen is provided as well as snorkelling equipment for use during your stay. A fully equipped communal kitchen and barbecue is available for guest use. Also available are two self-contained houses suitable for families, sleeping five to six people. The Village atmosphere is low key and quiet, giving you a taste of what island life is meant to be and the perfect base to explore Great Keppel Island. GREAT ATMOSPHERE, DANGEROUSLY LIVE ENTERTAINMENT, INCREDIBLY GOOD FOOD. Established in 1862, Rockhampton's iconic Great Western Hotel has a rich history. Not only as a Hotel and award winning Steakhouse, but also an entertainment venue. Renowned for bringing thrilling events such as rodeos, professional bull riding and bull fighting as well as indoor moto x and headline music acts to Central Queensland. The hotel caters to an estimated 250,000 patrons each year. It is on many people's bucket list to visit so they can experience the atmosphere of both the hotel itself and the Rodeo and Music Arena. The hotel and the arena have featured in many mainstream tourism TV programs both in Australia and overseas. The Great Western Hotel's other award winning feature is the newly renovated Steak House. Steaks at the Great Western Hotel Steak House are so good they were voted Best Pub Steaks by the internationally renowned judges at Beef 2015. Book your table today and enjoy the best beef on a plate and the best bull riding in the country. Hartecs Group is a local Project Services, Engineering, Construction Services Consultancy specialising in delivering our customers' objectives safely, innovatively and to the required quality standard. Our Target Delivery Sectors are Roads, Rail, Water and Defence Infrastructure, risk managed, responsibly providing our customers with manageable objectives in realising their goals. With a nod to its history and a look to the future, Headricks Lane will draw you from its grand exterior facade into its breathtaking modern interior. The spacious new venue comprises a cafe, bar, formal and casual dining, and private dining room downstairs and a function space upstairs. It also features a microbrewery showcasing some of the hottest brewers from around Queensland and Australia. Dress code applies from 7pm daily. From 7pm, we do not permit thongs, singlets or high visibility clothing/uniforms. Gentlemen must wear a collared shirt on Fridays and Saturdays from 7pm. Heli-Central Pty Ltd is a local central Queensland business that can supply a helicopter for your operation. Our services include aerial surveying and inspections, Ag spraying and seeding, stock mustering, lifting equipment to remote locations, fire lighting and general charter flights. With our team of experienced pilots we can provide you with a professional service that is sure to meet your needs. These services are offered all across central and western Queensland, with bases and satellite bases at Springsure, Rolleston, Rockhampton, Yeppoon, Emu Park, Balackall and Quilpie. Please contact us for scenic flight prices, and feel free to enquire about any other aerial needs you may have. Helloworld Travel Rockhampton is your one stop travel shop. We provide friendly, professional and current travel advice and can assist with all bookings. We employ local Rockhampton staff and support local businesses. Henderson Park, a fifth generation family run working cattle property, is uniquely positioned just 10 minutes off the East Coast Highway and 30 minutes north of Rockhampton, Central Queensland. Join an educational property tour, simply unwind or take a break from travelling. Go on a bush walk, see wildlife and cattle in their natural environment, go canoeing, swimming, fishing (creek is stocked with Barramundi!) and admire the stunning sunset and evening bird song. There are three styles of fully self contained accommodation available. Luxurious accommodation is provided in an intimate setting at Hedlow Lodge, which boasts 180 degree views over the property and water from the spacious communal deck. Four queen ensuited rooms are available in Hedlow Lodge. Their Pioneer Style Cabins are cosy and timber lined with private verandahs also overlooking beautiful Hedlow Creek. Two cabins are available each with different bedding configuration. Their heritage style Barrett House is the original homestead on Henderson Park, which as been recently renovated. This house can sleep up to eight people and is perfect for large families or groups travelling together. Hosts Annika and Ryan and the Henderson Park team are waiting to welcome you to their little piece of paradise! Heron Island, located 44 miles off the coast of Queensland, Australia, is situated on the southern Great Barrier Reef. With 109 rooms, Heron Island Resort, caters to both couples and families and offers a wide range of activities, from diving and snorkeling on the coral reef, to guided stargazing tours and ecology walks, to submarine rides and sunset cruises. 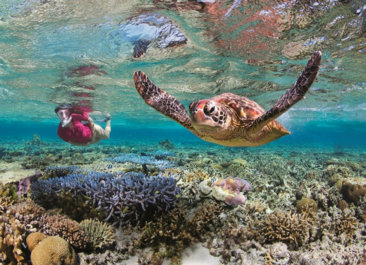 Renowned for being home to Loggerhead and Green sea turtles, Heron Island is also world-famous for its scuba diving and snorkeling and was voted as one of Australia's best dive spots with more than 30 dive sites available, half of which are only 15 minutes from the beach. Heron Island is one of the few coral cays on the Reef and part of a World Heritage listed area. Herron Todd White is committed to providing property valuation and advisory solutions you can trust. 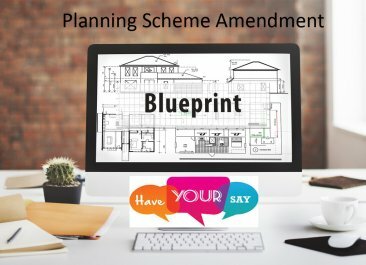 Our qualified and experienced property valuers work in the property market every day and provide professional services for all classes of property including, residential properties and major development projects; commercial, industrial and retail; rural and agribusiness; and corporate and government portfolios. Drawing on their depth of experience, knowledge and insight to interpret data from our national property market database and up to the minute research, our team can give you a real edge in your property decisions. From day one, Hog's Breath Cafe set out to be unlike any other restaurant. In a nutshell, it is about providing quality food and beverage in a casual environment with an over-riding friendly, party atmosphere. The diverse menu is centered around Prime Rib, an unbelievably tender steak that just melts in your mouth. Holcim concrete are suppliers of Readymix concrete for the Rockhampton, Yeppoon and Mackay Region. Holcim Aggregates include Hard Rock Quarry at Nerimbera Rockhampton and another Quarry at Blackwater and two (2) sand plants at Mackay. Humes is Australia's leading manufacturer of steel reinforced concrete pipes, culverts and a wide range of quality engineered precast concrete and environmental products. Humes provides unparalled product quality and performance, coupled with exemplary technical advice and sales service across a broad range of industries with three distinct products: pipeline systems, water solutions and engineered structures. Hutchinson Builders is an accomplished principal contractor for small, large and intricate construction projects across a range of sectors. We act as the central hub, supporting all stakeholders throughout the construction process - from design through to commissioning - to deliver the best possible results. We have strategically diversified our business across factors like job size, sector, client base, geography and team capability to ensure breadth and depth of expertise as well as agility and responsiveness in a shifting market. Hutchies established our permanent office in Rockhampton in 2012, although we have historic connection with CQ, having worked in the region since we built the Berserker Street State School in 1916. Team Leader Nick Colthup heads up our Rockhampton office. iAssist is a leading Australian IT Systems Integrator, specialising in the delivery of enterprise-class technology solutions to improve the manageability, security and control of our clients' networks. We are located in Rockhampton, Central Queensland and service clients all over Australia. A family run and owned company we have operated since 2002 and have grown into a one stop shop for technology. We understand the industry and know how daunting it can be for businesses to find a business they can trust. We strive to provide up to date solutions with old style service. "At iAssist, We Assist"
Juggling all the tasks and having all the skills required to be successful in business is tricky. If you need help with business writing, copy writing, project management, business improvement, research, or any of the myriad of tasks that are necessary for great outcomes, you've come to the right place. The Indigo Gold team understands what is important to you and your clients, and will work with you to get the best possible result. We take the stress away, and at the same time, you'll enjoy working with passionate, professional people who know how different industries work, have significant regional networks and have a history of success. Island View is located at Kinka Beach, 12km south of Yeppoon and 6km north of Emu Park. We are situated directly across the road from the beach, known as Kinka Beach and the beach is very dog friendly. Island View Caravan Park has amenities that make you feel like you are home. The amenities also accommodate guests with disabilities. Three very good BBQ areas, two pools, jumping pillow and children's play area. The Park also has a caravan dump point for guests' use. John Holland is a multi-disciplined construction contractor delivering Projects at any point in their life cycle across Australia, New Zealand & SE Asia including: Industrial & Resources, Road, Rail, Dams, Pipelines, Water & Waste Water Infrastructure, Tunnelling, Ports & Marine, Power & Energy, Operations & Maintenance, Building, Financing and Developing Projects. Johnson's 4WD Repair Shop is a trusted Rockhampton mechanical workshop with extensive experience in light vehicles, 4WDs, trailers, camper trailers and caravans. Catering for all makes and models. With over 20 years' experience in mechanical maintenance, owner Nathan Johnson has the level of expertise required to co-ordinate prompt and efficient mechanical services, repairs and upgrades for all valued customers and their vehicles. JRT Group provides a comprehensive civil contracting service, supported by maintenance capabilities as well as labour and equipment hire, and resource procurement. JRT are proudly based in Yeppoon, Central Queensland.JRT Group is capable of completing all aspects of construction and development works including civil constructions, plumbing and drainage, clearing, road works and fabrication. If you would like to have more time and more money then Kennas can help. We've been working with our clients for 120 years now helping them to shape their financial success and reach their personal and business financial goals. Kennas aim is to help shape clients financial success; to be our clients business and financial life partner. We assist our clients to make more money (grow business profits or revenue, or earn more from their investments), retire earlier (be financially secure to do what they want and when), and pay less tax (and keep out of trouble). We provide business, tax, financial planning, audit and accounting solutions for our client's, help them set and reach their financial goals, and help them overcome business and financial challenges to make their lives easier. Kenrose Park offers the latest in karting experience with a fleet of karts direct from Germany. The track features a ROC timing system for the competitive karters, stadium class lighting for night karting, BBQ facilities and a jumping castle, playground, swings and push karts for the younger ones. Refreshments are available. Located at the gateway to the Keppel Group of Islands, Keppel Bay Marina is the friendliest and largest marina in Northern Australia. The multi award winning tourist facility is home to over 500 berths, The Waterline Restaurant, Sail Capricornia and a range of charter vessels. No holiday to the Capricorn Coast is complete without a visit to Keppel Bay Marina. Keppel Coast Arts (KCA) is a is volunteer-run not-for-profit community organisation. Our aim is to build and strengthen the arts and cultural activities of the Yeppoon community through the development and support of projects and artists initiatives. Keppel Explorer is an exhilarating, scenic boat tour around Great Keppel Island, visiting the "Wild Side" of the Keppel Islands; pristine, secluded beaches and uninhabited islands with stunning natural scenery brimming with marine, bird and animal life. Our customers create change every day. Simply by banking with us you become part of the change that helps support and sustain Australian communities nationwide. See the change your banking makes. Ferry transfers to the magnificent Great Keppel Island depart twice daily. The journey takes approximately 30 minutes and upon arrival to GKI you will be dropped at the beautiful fisherman's beach, just a stone's throw from Great Keppel Island Hideaway Bar & Bistro. Booking is required, however there may still be availability on the day so please contact our reception for last minute enquiries. Booking is required, however there may still be availability on the day so please contact our reception for last minute enquiries. Whether you're here for a stay or here for a day, we look forward to "ferrying" you to Great Keppel Island soon. Keppel Sands Caravan Park is situated in the small beach town of Keppel Sands and offers both Powered and Unpowered Caravan and Camping Sites. The Park is pet friendly, close to the boat ramp, is a short walk to the beach, and has a laundry, boat wash down area with concrete pad and also an RV Dump Point. Koorana Crocodile Farm is a commercially operated crocodile farm and restaurant located half an hour drive from Rockhampton or Yeppoon. Gates open at 10am and fully guided tours are conducted daily at 10.30am and 1pm with lunch being served in the restaurant between 12pm to 1pm. Crocodiles hatching can be seen from March to May. Koorana has approximately 4000 crocodiles. Last entry to farm is 2pm and gates close at 3pm. The restaurant serves crocodile meat dishes as well as standard meals. Crocodile skin and crocodile leather products are available including wallets, belts and clothing. Most crocodile leather accessories are Australian made and are sold at farm gate prices with Cites permits for export. Visitors have the opportunity to touch and hold a specially trained crocodile at no charge as part of their entrance price. There is no charge for photography and part of the entrance price also. Also offered for group bookings or social functions are Spotlight Dinner Tours - minimum of 20 customers. These nights can tailored with 3, 4, or 5 course meal packages. Korte's Resort is a state of the art Accommodation business specialising in all aspects of events and accommodation requirements. With the newest Function Facility in Central Queensland, we can easily host events up to 500 guests in cabaret style. Lady Elliot Island is a coral cay located at the southern tip of Australia's World Heritage Listed Great Barrier Reef. Situated within a highly protected 'Green Zone' the island is a sanctuary for over 1,200 species of marine life and is known for its abundance of manta rays, turtles, amazing array of spectacular marine life and unspoilt coral reef. We operate a small unpretentious 41 room Eco Resort on Lady Elliot Island which strives to provide guests with a genuine eco-tourism experience. It is our goal to provide guests with life changing moments and world class experiences through natural encounters both above and below the water and by the delivery of engaging and educational activities. Laing O'Rourke is a $6 billion international operation with 50 years involvement in Australian construction and infrastructure including more than a decade under the Laing O'Rourke banner. The business is currently delivering some of Australia's most exciting projects across the transport, defence, airports, mining, civil and social infrastructure sectors. A fully qualified, experienced, dedicated Civil Celebrant based on the beautiful Capricorn Coast in Central Queensland. Leanne has built a reputation for her attention to detail, willingness to try something new and calm approach on the day. Also available for funerals, namings, commitments, renewal of vows ceremonies. Rockhampton's first hotel, The Leichhardt, is the grand lady of the city, with a fantastic al fresco restaurant, two floors of function facilities catering for parties or meetings of any size, a modern gaming room with the latest link jackpots, 24 hour reception, and 60 four star hotel rooms with views of the city. The Leichhardt Hotel is only ten minutes drive from the Rockhampton Airport and 3km from the Queensland Rail Station. Ideally situated right in the heart of the CBD, makes it the most convenient base to explore the beauties of the Capricorn Coast. Door to door airport transfers around the Capricorn coast including the Keppel Bay Mariner and Mecure Capricorn Resort. Rent small to large cars, buses sizes from 11 to 33 seats and fully mine specific vehicles. Contact us for a quote. From beach to bush and burgeoning urban centres, Livingstone Shire is home to almost 36,000 residents and the gateway to the stunning Capricorn Coast. The Council is comprised of an elected Mayor and six elected Councillors, who collectively represent an area of 11,776km2 including the major centres of Yeppoon and Emu Park. Mad Dog provides a fresh approach to video production and photography. Our talented producers and editors deliver premium visual content that will set you apart from your competitors. Operating for over 10 years, our core business has evolved from primarily television production, but as social media and online platforms have grown, it has now shifted to include more corporate and online content. With a mix of agency, regional and national production work, Mad Dog has a passion for producing quality visual content. Making a name in the industry as a exceptional production house, Mad Dog offers a complete creative service from concept to completion. The Marlborough Historical Museum strives to inspire the generations of our community through careful preservation and passionate celebration of their heritage. The Museum collects, preserves, researches, interprets, presents and provides historical resource material relating to the natural and human heritage of Marlborough. Marmor Quarry produces a high grade blue rock. Supplying materials to Aurizon and Main Roads, while servicing the local towns and rural sector. We also have a range of larger size rocks and boulders, ideals for landscaping and retainers. Our market is aimed from the box trailer to the major road building company. Miners Heritage is Australia's largest Underground Walk-In Sapphire Mine Tour. Go to the Central Queensland Sapphire Fields and take an informative 30 minute guided Mine Tour which is suitable for all ages. After the Tour browse their underground museum and read about some of the amazing sapphires that have been found over the years. Buy a bucket of "wash" and start fossicking for your own gem, their friendly staff will show you how. Miners Heritage has an airconditioned showroom with a huge selection of 9 carat, 14 carat and 18 carat gold jewellery on display. They also have pearl, opal and semi-precious gemstone jewellery, loose gems from all over the globe,fossils,minerals and giftware for sale. Miners Heritage has an inhouse Jeweller and they also offer a gem cutting service. Stay for a couple of hours or stay all day. There is plenty of parking, clean amenities and they have an undercover sitting area with picnic tables. Tour groups can also be catered for. Miners Heritage is located in Rubyvale, approximately 65 kilometres west of Emerald. Go and explore the world of sapphires at Miners Heritage, your one stop introduction to the Sapphire Fields. The Mount Morgan Historical Museum houses a unique collection of early mining equipment from the famous Mount Morgan Gold Mine. There's also many household objects used during the town's heyday, dating back to the late nineteenth century. The Mount Morgan Gold Mine was one of the world's richest gold mines and made a significant contribution to both Queensland's and Australia's economy. The museum also contains over 600 historic photographs that depict the development of the mine and the town. The photographs illustrate not only the lives of the miners at work but also the social, religious, cultural and educational aspects of the community. There is much to see and experience in this fascinating museum. Mount Morgan Promotion and Development Inc.
Mt. Hay is the remains of an extinct ancient volcano, which was last active about 120 million years ago. When it was a rumbling volcano millions of gas bubbles were present in the molten rhyolite lava .. it is these gas 'pockets' that became thundereggs. Thundereggs or volcanic birthstones are the result of these 'pockets' filling with siliceous liquids containing impurities and trace elements, which crystallize as they cool, and when cut in half, reveal many different colours and patterns. Enjoy delicious HOME MADE STRUDEL & MERLO COFFEE in tranquil surroundings. My name is Nathan White and I am a travel, landscape and commercial photographer based in Rockhampton, Queensland. I love being outdoors, exploring and photographing the natural world and I find myself constantly inspired by the vivid beauty and design in God's creation. My work has been featured via inflight magazines, state-wide tourism marketing campaigns and various other publications. I have 6 years experience in the industry and I always strive to deliver high-end service and fast turn around times. I believe in going above and beyond for my clients and their satisfaction is my top priority. When luck or adventure takes you to Rubyvale in Central Queensland's Wild West, think of it as the end of the rainbow, not the end of the world! The New Royal Hotel Rubyvale, the finest establishment in town, awaits you with great pride and expectation. Why settle for anything less? The very words "Royal" and "Hotel" together in the same name are your guarantee of a regal outback experience! Nextra Yeppoon Office Smart are your local newsagents and stationary suppliers on the Capricorn Coast. Started in 1979, Nob Creek Pottery prides itself on exhibiting high quality craft and currently has the work of over 45 craftspeople and artists on show in their three large galleries. Steve Bishopric, originally from Auckland NZ, the owner and master potter, has enjoyed making pots on the wheel for over 30 years and has work represented in State, regional and international galleries and private collections. Sue McBurnie trained as an art teacher and taught in secondary schools for 22 years before heading to Byfield to join Steve over 15 years ago. Her specialty is slab rolled pieces and sculptural work. Steve and Sue produce a lot of the work collaboratively. Often Steve throws the piece and Sue will carve and decorate it. Steve's son Renton is also a potter and produces work for the gallery. Steve and Sue often have visiting potters from USA Europe, Japan or other areas in Australia who live and work at the property. Oak Tree specialises in smaller more private communities, complete with purpose-built recreational facilities and affordable, stylish and secure maintenance-free living in a caring environment. With 4 villages in Central Queensland, residents can form new friendships and be part of a close knit community whilst continuing to live independently. Guided Fishing Downunder specialises in fly or lure sport fishing in the Capricorn Coast and Rockhampton Region, offering half or full day charters for up to three people. Explore the Fitzroy and its delta for Barramundi or King Threadfin and the Keppel Islands and Southern Great Barrier Reef for a wide range of species. Pick up from accommodation, all fishing gear, lunch or snacks and drinks included. Old Rainworth Fort, just south of Springsure, was built in 1862 as protection against aboriginal attack. The fort was fireproof and very nearly impregnable, being constructed of basalt blocks and corrugated iron. Take time to walk through the Cairdbeign Homestead and School, which houses relics from the period. Half the attraction is the Fort's caretakers - 87 year old Colleen McLaughlin and her 84 year old sister Lorna Smith. The two ladies have managed Rainworth Fort since 1980. Oshen Yeppoon is one of the Capricorn Coast's newest accommodation complexes offering unrivalled ocean views of the Keppel Islands and Southern Great Barrier Reef. Whether you're searching for your next holiday destination in our 1, 2 or 3 bedroom apartments or a refreshing place to conduct business events, Oshen Yeppoon will have something to suit you. Underwater photography in Keppel Bay. John Mills, known as "Millsy" by the locals, showcases the beautiful underwater world of Keppel Bay and surrounding islands. Prints are available to buy in any format ie canvas, glass, metal, calendars etc. Bulk orders for hotels are welcome. A locally owned and operated family business in the Central Queensland region, Paint Place CQ provides a comprehensive distribution network of multiple stores located in North Rockhampton, Yeppoon, Emerald and Gladstone. Paint Place CQ has built a firm position in the CQ market, based on a solid foundation of technical knowledge & innovative paint products. The Paint Pot Gallery and Gift Shop is a showcase of local artists. Paradise Lagoons Campdraft is Australia's premier Campdraft, conducted over four days in a world class venue. In true Outback style, it features the exciting sport campdrafting, family entertainment, and social events for all ages. The four day program provides dawn to dusk, edge of your seat competition as riders from all corners of the nation test their skills to take home a share of up to AUD$200,000. Ladies flock to their annual Ladies Luncheon, and spectators from all over attend their highly anticipated event, the State of Origin Campdraft. Visitors to the event also spend their time walking through our outdoor Trade Fair, which exhibits a wide range of local and rural markets, from modern stock handling equipment to handmade handbags, jewellery and fashion. Our family-focused event provides something for everyone whether you are a local, or visiting the Capricorn Coast region on a holiday. Pat O'Driscoll Real Estate Rockhampton was established in 1986 by Principal Pat O'Driscoll and is now the leading independently owned agency in Central Queensland. Hand-in-hand with this is the desire to be a part of the community. The business is a major sponsor of many local events, and sees its role as "development of the community, with the community, for the community". DISCOVERY Industrial Estate, located in the Parkhurst industrial precinct, North Rockhampton. Drawing on a long record in public administration with emphasis on economic development, policy and strategy, pH7 Consulting can assist your organisation to develop strategies and supporting actions to help meet challenges or capitalise on opportunities. Pie Alley Blues brings New Orleans style food, fine wine, whiskey and Blues to Yeppoon. With an ever changing small bites menu, live local Blues, Sunday BBQ jam sessions, the best wine and whiskey and beer on tap, you'll be calling it your second living room. Pie Alley Blues, Normanby Street, Yeppoon. Gourmet tasting space now open! Specialty tea, coffee and home made cordials plus lunches, share platters & snacks. Gourmet dine in or takeaway. Pigglettoes is the tasting space for Monkey Pig Brewing. Located in Granville Street, the Hotel is only a stones throw away from the beautiful main beach. The beach is patrolled by the Emu Park Surf Club. The Piney is only a 30 minute drive east of Rockhampton. Family Picnic areas along the waterfront make it an ideal setting for the family. Whether visiting for the day or on annual holidays, the Piney is the place to stay. The Pine Beach Hotel offers mouth watering meals.... Why not take advantage of our marvelous Bistro. For those of you that like a flutter, the Piney has full Tab facilities, Gaming Room and Keno online, also a variety of poker machines. Piranha Insurance Brokers based in Rockhampton QLD are your 'one stop shop' location for all classes of home, personal and business insurance. We have highly qualified, AFS authorised advisors to help you get the best possible cover at the best possible rates. Stanage is well known for it's fishing, crabbing and camping. The township is made up of three settlements, Alligator Point (or Beverley Hills as the locals call it), Alligator Bay (Happy Valley) and Plumtree (Paradise). Whether you're staying for a night or staying for a month, put Stanage on your bucket list today! Plumtree Store have a range of Holiday Rental Homes. You are guaranteed to find a house to provide to your needs. The Plumtree Store has an abundance of facilities including Plumtree Express Freight Services, Postal Agents, Bar, Cafe, Fuel (ULP, Diesel, Premium Unleaded), gas refills, public telephone and much much more. The most central caravan park on the Capricorn Coast. Relax and enjoy the natural beauty, close to golden tropical beaches, local shops and a range of eateries. Poinciana Tourist Park features spacious, shady sites set amidst tropical gardens, a saltwater pool, large covered barbecue area, self-contained cabins and modern amenities. Poinciana Tourist Park is just 200 metres from beautiful Cooee Bay beach and the Coral Sea. A range of shops, good fishing, a local bus service and lots of tourist activities are all close by. Dogs are welcome at Poinciana Tourist Park, so your canine companion can stay by your side. Conditions do apply, so please talk to them at the beginning of your stay for details. They invite you to enjoy all that Yeppoon's friendliest park has to offer. Poinciana is ideal for your next holiday escape. With our professionalism combined with positive attitudes, we, along with our principle Kevin Doolan, can help you find your perfect home to suit. One of Australia's hidden gems and best-kept island secrets nestled in the Keppel Group of islands, 14 kilometres off the coast from Yeppoon. A holiday on Pumpkin Island offers a blissful escape from the stresses of modern day life and a chance to partake in pristine nature. Easily accessible by private boat or the Pumpkin Xpress, from the Keppel Bay Marina in Yeppoon. There you will find five eco-friendly self-catering cottages and two beach bungalows powered by wind and sun, overlooking a crystalline beach. Each accommodates between four and six guests. Guests can pre-order gourmet meals from the award winning Waterline Restaurant, at Keppel Bay Marina, collected on the day of departure. There is so much to do on this island treasure. The wildlife will delight you; expect to see dolphins, turtles and whales in season. Fish the rich waters, snorkel or experience the coral reefs from a glass bottom kayak, harvest your own oysters off the rocks or simply wander the secluded beaches. Perfect for safe swimming and snorkelling most of the year round. Pumpkin Island is wonderful for families, utterly romantic for couples and a hoot for a group of friends. Master Builders is the peak industry association representing building and construction in Queensland since 1882. With more than 8,500 members, we are the voice of the industry. Our services support members to operate professional and profitable businesses that deliver superior quality outcomes to their customers. Queensland Linen Services (QLS) is a commercial laundry providing linen hire and laundering services to the Central Queensland region. Our focus is to provide you with not only quality linen hire, but also excellence in customer service. We pride ourselves on our friendly, professional service, our quality linen, fast turn-around times and our flexibility. QLS support the Accommodation, Hospitality and various other industry sectors with a superior high quality commercial linen hire and laundry service. Whether you are a large hotel or a small aged care facility we can structure a cost effective system that will cater to your individual business needs. Travelling by train offers a unique experience, where the holiday starts when you jump onboard. Explore the Southern Great Barrier Reef with a journey aboard the high speed TILT Train and arrive relaxed at your destination. Qwest Crane Hire is a locally owned Crane Hire Company based out of three (3) depots in Central Queensland: Parkhurst, Emerald and Yeppoon. Qwest Cranes supplies a wide range of industries and with a motivated team of local CQ employees, we strive to become the Crane Company of choice in CQ. Rainforest Ranch is a wilderness retreat located within the Byfield National Park. Luxury Cabins are available for that "perfect getaway". Within the retreat the "Ranch Bar & Grill" provides breakfast and dinners and weekend lunches. Great venue for any sort of function, including weddings. Established in 1992, Ray White Yeppoon is a family owned and operated business proudly supporting the local community. Reel Fishing CQ is a marine tourism based business providing Fishing Charters on the Fitzroy River and Capricorn Coast, also River Cruises on the Fitzroy River for Sunsets, City lights, Wildlife and Party Cruises. Rees R & Sydney Jones is Queensland's oldest law firm located in the heart of Central Queensland, Rockhampton. We offer legal expertise and representation across a wide array of legal services and many of our clients are families that have been with us for generations. We are assertive, firm and strong in court with an insatiable passion to help you win your cases. At Rees R & Sydney Jones, we don't see you as a mere number or 'just another client', but relate to you on a personal level and treat your situation with great care and priority. The law is our business. Let us fix the problems and sort out the legal issues so that there are no major interruptions to your day to day life. Regional Insurance Brokers provide tailor-made comprehensive insurance services in Rockhampton and surrounding areas. We specialise in risk analysis, evaluation of documents and maintaining existing policies. We are part of the Steadfast Group, the largest insurance broker network in Australia and New Zealand. Our well-established connection within the Australian insurance market, combined with our extensive experience with the local business landscape and its regional specifics, enables us to provide a wide range of products from multiple insurance companies at competitive prices. RCS is Australia's leading private provider of holistically-integrated education, training and advisory services to the agricultural sector, both nationally and internationally. We work with individuals, families, corporates and government groups, empowering them to grow productive, profitable agricultural businesses within regenerative landscapes. Premium environmental advisory services paired with specialist guided fishing experiences. RMS provides specialised services in Civil construction projects such as Bulk Earthworks, Pipe Laying, Sewerage Reticulation, Roadworks, Bridgeworks, Trunk Services, Subdivisions and Concrete Structures. RMS is DTMR and FSC Accredited. Robert Harris Rivett Lawyers is a well known name in the Yeppoon area, having delivered professional legal advice and services to the Yeppoon and Central Queensland community for over 30 years. Whether you are buying and selling property, putting your affairs in order or just need general legal advice, the team at Robert Harris Rivett Lawyers can assist. With over 48 years' experience, RBM specialises in the integration and support of leading office technologies in Central Queensland to Small Business, Medium Enterprise, Large Corporations, Public & Private Schools plus all levels of Government and Not for Profit Entities. We combine the latest Technologies with our Extensive experience to deliver proven results backed by the Largest Service and Support Department in the in the Region that includes Rockhampton, Gladstone, Emerald, Biloela, Blackwater to name a few centres. Whether you're a visitor to the Capricorn region or a local, our joy flights will show you a side of Rockhampton and Yeppoon that you've never seen before! Rockhampton Helicopters are available for specialist charter flights, for both commercial and private purposes. We also provide aerial services such as Aerial filming, Aerial photography, Geological and mining surveys and Flood support. The Rockhampton Leagues Club has Something for Everyone. The Club is open 7 days a week from 10am to late, with bistro dining everyday as well as weekly promotions and giveaways. Rockhampton Serviced Apartments is the ideal destination for corporate travellers, families and holiday makers whilst staying in Rockhampton. Several accommodation styles are available, each with their own distinctive setting. Apartments are available in 1, 2, and 4 bedrooms. Family entertainment centre with Ten Pin Bowling, Laser Tag, Mini Golf, Bumper Cars, Kiosk, Amusement machines, Cannon Ball Blaster. Licensed. Air Conditioned. Open 7 days a week from 9am until very late. Great for birthday parties, corporate events, celebrations and great family fun for everyone. We are a local company based at Rosslyn Bay Harbour, Yeppoon and provide freshly caught seafood to the tables of Central Queensland . With our own fishing vessel and working closely with local fishermen, we provide the freshest seafood to the retail and wholesale market, supplying local fish shops, restaurants and selling directly to the publicfrom our retail outlet at Rosslyn Bay Harbour. Locally owned and operated for 27 years. Offering Fuel, Ice, Groceries, Bait & Tackle and Gas Bottle Exchange. Rosslyn Bay Resort is your complete holiday and function destination. Situated on the shores of Kemp Beach, they offer unprecedented access to Great Keppel Island and the realms of the Southern Great Barrier Reef through Keppel Bay Marina. The resort encompasses corporate and wedding catering facilities as well as the world-class Beaches Bistro, with trendy decor, a front deck with stunning beach views, an additional rooftop deck, and amazing food and cold beer on tap. The onsite Rosslyn Bay Wellness spa offers guests the chance to kick back and indulge from head to toe, offering massage therapy, facials, hair and body treatments. So everything you need to enjoy the best of the Capricorn Coast is right here in the harbour; whatever the reason for your stay. With 12 luxury Spa Bungalow units, new management, ongoing renovations and two highly talented chefs at the world-class Beaches restaurant, Rosslyn Bay Resort is changing, and they would love to see you there soon. rsured manages your work, people, plant and contractor compliance, incidents, events, investigations and continuous improvement processes. rusured is an innovative, modular, cloud platform that enables you to be in control anywhere, any time. rsured integrates and automates your systems and provides customisable dashboards to reduce complexity and improve efficiency. Australian Tourism Award winning Rubyvale Gem Gallery is a small family business established in 1988, and now situated in their new shop on Main Street in Rubyvale. For over 40 years Peter Brown has been mining and cutting the local sapphires, and setting them in uniquely designed jewellery. He is recognised as a sapphire specialist and one of the best gem cutters on the Gemfields today. Visitors to the Rubyvale Gem Gallery see one of the most spectacular collections of rare and valuable precious Australian sapphires in Australia, as well as the gemcutting and jewellery making processes. Included in the value of each of their unique Australian sapphire pieces is the story. The story of its volcanic origin over 50 million years ago, of the mining methods used to retrieve it from the earth, and the the talent involved to create this sparkling treasure that will be yours to cherish forever. Make an Australian sapphire from Rubyvale Gem Gallery part of your story, your family heirloom. Enjoy your favourite coffee at the Rubyvale Cafe right next door serving delicious food all day. The friendly staff can help with all Sapphire Gemfields information. Grace is a purpose built sailing catamaran which sails the beautiful Keppel Bay and Islands off Yeppoon, Central Queensland. Your hosts, Anthony and Vicki have the enviable task of sailing you to places only accessible by boat. Come and allow them to show off their isolated sandy beaches and coral outcrops inhabited by turtles, dolphins and all kinds of fish. Grace sails at 8.30am from Keppel Bay Marina. Then it's snorkelling, exploring or just chilling out after morning tea. A full buffet lunch including fresh local prawns awaits you on return to Grace. Then it's all hands on deck for wildlife spotting as you sail homeward enjoying a fresh fruit platter. They arrive back to reality at about 4pm. It's a great day of fun and discovery. Sunset sails are also on the menu, casting off at around 5pm for a romantic sail around the bay. Drop your anchor at Sail Inn. At the heart of Yeppoon, the hidden gem on the Queensland coastline, lies the Sail Inn, the accommodation that's close to everything. Sail Inn is located in the heart of Yeppoon! If you are looking for accommodation that is in easy walking distance to restaurants, shops, groceries and the beach then you have found it. Offering all the basics you've come to expect from a motel and the friendly service you enjoy. The Yeppoon area has so much to offer! There is the Koorana Crocodile Farm, Cooberrie Park Wildlife Sanctuary, Capricorn Caves, Keppel Kracken water play area, local art galleries, national parks and 30 minute ferry ride to Great Keppel Island. We are a small batch distillery specialising in producing finely crafted rum and gin. Utilising natural ingredients from the Central Queensland region, our premium spirits are available at the distillery door and our tours and tastings invite tourists and locals to experience not only the products but also the distilation process. The picture of beachfront perfection awaits you at Salt, Yeppoon's newest premium four and a half star Apartments. Situated on Yeppoon's magnificent Main Beach, Salt offers unsurpassed ocean views from every luxurious apartment. Salt's architecturally inspired building boasts 50 spacious one, two and three bedroom and penthouse apartments spread across five levels, all unrivalled in terms of size and quality of finishes. Double bathroom vanities, glass splash-backs, stone bench-tops, and SMEG appliances are standard in all apartments, with marble bench-tops and Meile appliances in penthouse apartments. The mesmerizing views out across shimmering Rosslyn Bay, to Great Keppel Island, and over to the Central Business District are absolutely breathtaking. Enjoy Salt's first class facilities including two resort style pools and tropical entertainment area, a fully equipped gym, large conference center and exceptional beachfront dining. Yeppoon is the Southern Great Barrier Reef's hidden gem with its classic seaside village blend of boutiques and recreation activities. A short stroll along Yeppoon's popular pedestrian boulevard brings you to the state of the art Waterpark facility, the latest addition to the expansive list of local attractions, providing endless fun for children and families. With 360 degree views and firepits at every site, from the camper to the motorhome, Sandstone Park has you covered! Sandstone Park Carnarvon Gorge is pet friendly, has toilets, dump point and pet sitting. It is the only locally owned and operated accommodation and is located at the entrance to Carnarvon Gorge. Queensland's most successful land development, infrastructure and resources projects reflect Saunders Havill Group Know How. Saunders Havill Group has been providing consultancy services in Queensland since 1975. Our offices provide advice on surveying, town planning, urban design, landscape architecture and environmental management for infrastructure, mining, land use planning and new developments. SMW Group are a mining and industry services provider, based in Rockhampton and serving Central Queensland and the Bowen Basin. Recipient of the 2014 Queensland Mining Contractor of the Year Award, SMW Group's services include mechanical, heavy fabrication, blast and paint services and field servicing. We are also manufacturers of the UltraHaul tray system and offer a full range of equipment for hire, maximising productivity while equipment is undergoing repair or overhaul. We are a diversified energy business. We own coal, gas and water assets which we use to generate electricity; we sell electricity directly to business customers; and we trade gas and coal. With a generating capacity of more than 4,000 megawatts. We have the capacity to supply more than half of Queensland?s average demand through our coal, gas and hydro power stations. St Brendan's College has been a leader in boys' education in Central Queensland since 1940. We are a day and boarding school for boys from Years 7 to 12, located on a beautiful 300 acres only minutes to the beaches of Yeppoon. We provide diverse academic and extra-curricular programs, giving boys significant opportunities to grow into young men of knowledge, respect and faith. Our boarding facilities are second to none in Central Queensland offering space, support and quality care. More than an education, we are proud that young men leave our College with a brotherhood and belonging for life. We invite you to discover a snapshot of life at St Brendan's College by browsing our website and welcome you to visit and tour our College. Sterling is a specialist provider of engineering, construction and maintenance services to the road and rail transport industries. Our capacity to deliver civil maintenance and construction provides our clients with an end-to-end infrastructure management solution. Sterling maintains a significant team of engineers, construction professionals, skilled tradesmen and labourers with capability to deliver both general civil maintenance or complex structure repairs and renewal. Stockland Rockhampton is one of the largest shopping centres in the Central Queensland region, located on the corner of Yaamba Road and Bruce Highway, North Rockhampton. We are a trusted financial services partner. Our combination of products and services can help Australians make good choices and take positive action to enjoy life and meet their financial goals. Our purpose is to create a better today for all of our stakeholders; including our customers, shareholders, people and communities. This means we help people live the life they want now and plan for the life they want tomorrow. The Group's goal is to create value for our customers through our portfolio of market-leading brands while benefiting from the efficiencies of scale achievable as a large organisation. The Group is a diversified, simplified, low-risk financial services group that delivers both high yield and above system growth. Our organic growth strategy is based exclusively in Australian and New Zealand. Sunlover Lodge, Kinka Beach, Offers a Unique Style Of Well Appointed Cabins and Holiday Units, Set in an Acre of Lush Tropical Gardens, Providing Peace and Tranquility With an Abundance of Native Birds and Sea Breezes. Sunlover Lodge is Proud to Offer What we Consider to be the Perfect Range of Accommodation with something to suit Everyone Looking for a Quiet Getaway with Great Facilities. Only a short Stroll to Kinka Beach, Crabbing and Fishing Spots, Close to all Amenities & Tourist Attractions The Capricorn Coast has to Offer. Developing wave pool and surf park technologies. Beautifully located on Yeppoon Beach, Surfside offers every visitor a true coastal experience. Featuring twelve renovated self-contained Motel Units PLUS swimming pool with Foxtel service and FREE Wi-Fi, Surfside has almost everything for the discerning visitor, whether it be an overnight visit to enjoy the hospitality on offer or to a lengthy stay to explore the many tourist attractions of the area. Park your vehicle in front of your unit and walk to clubs, restaurants, coffee-shops, our new water park "Keppel Kraken", entertainment and shopping, all located just metres from your Motel. Escape to Takarakka Bush Resort Carnarvon Gorge. Open all year round and fabulous in every season. Immerse yourself among ancient rain forest and prehistoric scenery. Choose from a range of accommodation options to suit your taste and budget, from spacious caravan and camping sites to en-suited cabins, safari Taka tents, or luxury studios. Discover Queensland's premier National Park and top tourist attraction with loads of things to see and do. A haven for both guests and wildlife nestled in a natural wonderland. Explore the depths of the Carnarvon Gorge Queensland, with its ancient sandstone cliffs and rich indigenous history and rock art. Walk the well kept tracks to discover abundant plant and wildlife, and the songs of colourful birds a plenty. Cook up a heart warming meal in the camp kitchens and relax and enjoy the camp fires or book in for a delicious two course roast dinner as a treat after a big day out. There's plenty of things to do while exploring the Carnarvon Gorge. Take a guided walk, scenic flight, sunset and astronomy tour to unlock the secrets of this special place. Book your Carnarvon Gorge holiday adventure today. Tanby Garden Centre is a nursery and landscaping destination situated halfway between Emu Park and Yeppoon (via Tanby Road). This is where you can find everything for your garden; lots of lovely colour, interesting giftware, homeware and pots, a good cup of coffee and a beautiful place well worth a visit. The Cassidy Group are industry specialists as asset owners, accommodation operators, and tourism and hospitality industry consultants. Since founding in 2001, The Cassidy Group have owned and operated six tourism and hospitality businesses in regional Queensland. Our current portfolio includes 120 room Empire Apartment Hotel (MLR) that opened in December 2014 and 96 Room Edge Apartment Hotel (MLR) that opened in May 2009 with a combined annual turnover in excess of $8 million (2016). The Cassidy Group has a team of 65 highly skilled and professional staff servicing both Edge and Empire including a dedicated Business Development Manager, Conference and Events Manager, Accounts Department Manager, Two Housekeeping Supervisors, Maintenance Manager and Customer Service Team Leader. The Caves Quarry is situated 25km north of Rockhampton on the Bruce Highway. Our aim as a family owned and operated business is to supply the local area with quality products at competivtive rates, and develop the quarry into a highly productive operation. The Coast Motel Accommodation in Yeppoon QLD, nestled on the Scenic highway between Yeppoon's main beach and beautiful Lammermoor. The Coast Motel's newest accommodation boasts modern, spacious rooms close to everything that Yeppoon and the stunning Capricorn Coast has to offer. When not exploring this special piece of coastline take the time out to relax in the Bali huts around our tropical landscaped pool, or maybe cool off with a drink and a meal at the new family friendly Capricorn Tavern next door. All rooms feature free Austar and HDTV on flat screen televisions, free access to high-speed broadband, workstations and all the facilities you expect from quality accommodation near Yeppoon QLD a centrally located stylish package. Take some time out to stay at the coast accommodation in Yeppoon. The Edge Apartment Hotel offers the finest 4 1/2 star accommodation in Rockhampton with every room offering views of either the beautiful Fitzroy River or the heart of the city. The Edge is the Rockhampton's serviced apartment and executive hotel accommodation specialist. Riverside location, modern design and all the facilities for a memorable stay, make The Edge Apartments among the very best of Rockhampton hotels. 108 Victoria Parade, Rockhampton, 4700, Qld, Australia. Located on footsteps of Rockhampton's Fitzroy River, The Edge Restaurant and Bar is Rockhampton's most exciting venue. Offering modern Australian cuisine, friendly professional staff and an atmosphere that is both casual and chic! Whether you stroll in off the street for a tantalising breakfast or lunch, or join us for an evening of cocktails, fine wine and fabulous food; our staff will go out of their way to make sure your experience is a memorable one. The restaurant has both indoor and outdoor seating and is fully licensed. We are a financial services company dedicated to making the complicated world of finance easy to understand so you can achieve your goals. We want to help your goals whilst helping you prepare for the unexpected. We'll create a plan that grows and changes with you. Board the iconic pink LARC! for an amphibious adventure to Queensland's only operating Lighthouse with guided tours INSIDE! Cruise the coastline adjacent to Eurimbula National Park and the Great Barrier Reef marine park, spot marinelife in pristine waterways and immerse in history of 1770 (Seventeen Seventy), the Birthplace of Queensland. The Mill Gallery is the premier art gallery on the Capricorn Coast and a learning centre for local art lovers and tourists. We have recently introduced a program of community arts workshops to increase visitation to the gallery and participation in the arts on the Capricorn Coast. The Strand Hotel Yeppoon (The Strand as the locals know it) has been a part of the Yeppoon landscape for over 60 years. We are conveniently located on Anzac Parade right opposite Keppel Bay and the magnificent beaches. 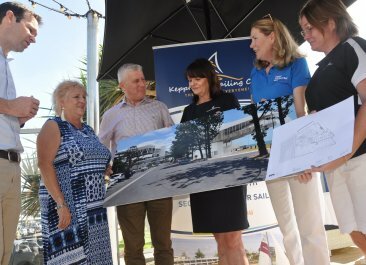 The Strand has recently undergone a major refurbishment, completed in 2013, to modernise the hotel to cater for the growing area and needs of Yeppoon & The Capricorn Coast. The Cafe Bar, Beer Garden, Bistro / Dining Areas and Gaming room were renovated to create a relaxing and inviting atmosphere where patrons can enjoy some of the most amazing views and delicious food! The Strand is the destination for fresh seafood and high quality dishes created with local and seasonal produce. With a large spacious DRIVE THRU BOTTLO to service the needs of the community, it is a well-rounded destination that will please everyone. Thomo's Betta Home Living is the place to go in North Rockhampton for everything Appliances, Electricals and More for your Home! Rockhampton Betta Home Living offers exceptional local advice and can assist you with all your Fridge and Freezer, Kitchen and Cooking Appliance, TV and Audio requirements. It is this local expertise that will give you that little extra piece of mind for your next electrical and home appliance purchase. Go Local, That's Betta! Gary and Carmel Thomasson have been locals since 1960 and established a Betta store in North Rockhampton, because they love the friendly community of loyal locals. Thomo's Betta store has been in operation since 1990 and offers support to numerous schools, charities and sporting clubs. ThomsonAdsett is a leading international architecture and design firm with studios throughout Australia and Asia. ThomsonAdsett's flexible design thinking is reflected across a range of sectors including seniors living, education & communities, commercial, health, leisure & resorts and retail. We're a team of highly experienced and well-connected designers, innovators and planners and we work with you each step of the way to realise both your current and future vision. We deliver lasting architectural solutions, which are supported by well-designed business strategies, to ensure the commercial, social and cultural success of your project. Trevelle Services Pty Ltd Trading As Trevor McMaster Refrigeration is a local company celebrating 30 years in business in the Central Queensland area. Founded by Trevor McMaster, and owned solely by Trevor and his wife and business partner, Trevor McMaster Refrigeration is committed to providing excellence in commercial refrigeration and air conditioning. Trevor is proud of his ongoing commitment to training and has trained over 30 apprentices in the last thirty years. Trevor McMaster Refrigeration has a head office in Rockhampton and a Branch in Gladstone and employs 29 staff. When three Central Queensland farming families got together in 1987, Tropical Pineapples was formed as Australia's first combined pineapple packing and marketing operation. Since then, Tropical Pineapples has led the development in packing, quality assurance, distribution and supply relationships. Quite simply, we combine the production from our families farms and create a consistent supply of high quality product to our customers all year round. Based in Yeppoon, on the Tropic of Capricorn in Central Queensland; Tropical Pineapples have over 20 growers and a network of three packing sheds throughout Queensland. The geographical spread begins just north of Brisbane and extends right up to the southern borders of Cairns. This spread allows us to supply fresh, sweet pineapples to our consumers for twelve months every year. We are the largest supplier of fresh pineapples into the Australian market and pack over 12 million pineapples annually. We supply Woolworths, Coles and Aldi directly, along with the food service industry and independent retailers and greengrocers, through every major state market. Villa Mar Colina, located 35 minutes drive north east of Rockhampton is set high on Bluff Point in Yeppoon, boasting stunning views across Keppel Bay, long sandy beaches and the Keppel Isles. Whether visiting their region for business or pleasure, from a quick overnight stay to a lazy getaway, you will simply not find better value or superior quality accommodation. Villa Mar Colina is just a short energetic walk to Yeppoon's Central Business District where you will find great restaurants, plenty of shopping and access to Yeppoon's main beach. Accommodation is offered in one, two and three bedroom villas. Two bedroom villas sleep up to six people. Three bedroom villas sleep up to eight people. All villas have a family bathroom plus ensuite off the master bedroom. All villas feature modern full size kitchens, very spacious open plan living area, private balconies or patios, DVD and HD television with Austar. They also feature own laundry with washer and dryer, private garages with electronic remote entry, and most importantly free Wi Fi. Villa Mar Colina is surrounded by gardens and features an illusion pool and barbecue area. Every day, we take ideas and shape them into great graphics, tools, words and pictures that talk to people and grab their attention. We create practical solutions that fit the purpose. We are design specialists with the know-how to develop print publications and digital device formats that enable you to reach your target markets anywhere, at any time across the globe. Restaurant right in the heart of Yeppoon. Situated under the Salt building directly across the road from the beach. Serving excellent quality menu items. Handpicked wines by our Sommilier. Open breakfast, lunch and dinner. Delivering award winning coffee. Ward Operations Pty Ltd is a specialist high voltage cable jointing and cable nitrogen purging company that has been servicing the Central Queensland mining and heavy industrial areas for more than a quarter of a century. We are one of Australia's leading high voltage cable jointing companies. We are Predominantly a Schwarzkopf salon but also stock: Wella, Juuce, Fudge, GHD, Beautiful Fascinators, Hair accessories and Jewellery. Our very experienced team are happy to accommodate your hair and beauty needs, Formal & Wedding styling, Style cutting, Ear & Nose piercing and Perming & Chemical straightening. As one of CQs biggest colour salons we would love do give your hair a fresh new look, book your appointment today!! We have a range of different rooms to meet your needs at the motel itself, these rooms are in the same complex as the restaurant and function rooms. Our Superior Queen rooms have a queen and single bed, desk and full size fridge. Perfect for business travellers with work to do, or travellers looking for a comfortable room to rest after a days journey. Upstairs Queen rooms are our lower end rooms, perfect for the traveller on a budget, they have a queen bed, ensuite, desk and lounge suite. Our Family Rooms have a queen bed in a separate bedroom and then a range of configurations in the lounge area, call us and we can let you know the best way we can accommodate your family. The Executive Balcony rooms have a queen bed, and either a private balcony or patio out the front. While Away Bed and Breakfast is a purpose built exclusive bed and breakfast located at Yeppoon on the Capricorn Coast of Central Queensland, Australia, and caters for visitors seeking comfort and friendly service at an affordable price. Their aim is to provide the highest possible standard; no less than they would expect themselves. The home is surrounded by beautiful gardens and shady courtyards to be enjoyed by guests. Smoking is not allowed inside, however, there are facilities in the courtyards. The interior is tastefully decorated, spacious and spotlessly clean. Full breakfast for their guests is their own special blend of tropical and cooked meal, which is a great start to a day. Refreshments, tea and coffee, cake and biscuits are provided 24 hours. There is also complimentary sherry or port for you to enjoy. While Away Bed and Breakfast is only 100 metres from a lovely unspoilt beach. This is great for walking, swimming and water sports to name but a few activities. The small township of Yeppoon is two kilometres from While Away and there are many places for dining as well as for shopping. Whisk Yeppoon is a fusion of a relaxed dining atmosphere, great food, coffee and cocktails, combined with service you expect. With a culinary team with over 25 years experience, our chefs bring a new taste flavour to the Capricorn Coast. Our produce is sourced locally where possible, and all meals are prepared and made on site, including our fabulous donuts, cakes and slices. Woollam Constructions is one of Australia's oldest construction companies, operating in the Capricorn Region since the 1800s. We collaborate with industry leading clients to innovatively and intelligently plan, design and build exceptional retirement and aged care living, health precincts, airports and community infrastructure. Workforce Express is an Australian owned and managed recruitment agency with extensive experience in providing staffing solutions to clients. Our branch is located in Rockhampton, however, we conveniently service locations Australia wide. Whatever the location or size, we can provide quick results and highly skilled candidates - simplifying recruitment, labour hire and employment needs. With more cars on the road and more safety features in every vehicle, your care comes first with Yellow Cabs. Our drivers pride themselves on their reliable and safe service for the community. Yellow Cabs have been working to support drivers, their families and the community since 1924. Providing safe and reliable service for over 93 years. Yellow Cabs taxis have the ability to carry 1 to 10 passengers and offer a wide range of accessibility options. Our Maxi Taxis are the most versatile cabs on the road and our drivers are trained specifically in assisting people with disabilities. For a more luxurious experience, book a Silver Service cab. Just minutes away from the Yeppoon CBD is the latest budget accommodation hotspot, that is "Yeppoon Beachhouse". Situated directly opposite the beach, offers stunning views and caters for each traveller's needs. Shared private and family rooms, ideal for backpackers, couples or families looking for the perfect getaway. Free WIFI available. The Yeppoon Community Market is held each Saturday morning at the Yeppoon showgrounds. It has been operating for over 35 years and all profits from the stall fees go back into the Community. 18 hole Golf Course tempered by the prevailing cooling south-easterly sea breezes. Our club is located on the magnificent Capricorn Coast, just above the Tropic of Capricorn, at the southern end of the Great Barrier Reef. Winter traditionally occurs for a few days in mid-June, while our summers are tempered by the prevailing cooling south-easterly sea breezes. Our course is home to mobs of friendly grey kangaroos and a myriad of native fauna and flora that benefit from the entire property being classified as Land for Wildlife under Greening Australia's national environmental initiative. A modern, fully equipped clubhouse sits centrally at the highest part of the course, and is available year-round for weddings, parties and functions. Visitors are welcome to participate in competitions or social golf, bookings are essential. Conducting cultural tours through Central Queensland to Carnarvon National Park. Young's Bus Service is locally owned and operated by the Young family, and has been serving Central Queensland since 1949, providing safe and reliable passenger transport for the benefit of the local community. During this time the business has grown steadily from 1 vehicle to its present fleet of 30, with offices and depots in both Rockhampton and Yeppoon. The business covers regular urban passenger services, school services and local charter services from the following areas: Mt Morgan, Gracemere, Rockhampton, Cawarral, Ridgelands, Alton Downs, Keppel Sands and the beautiful Capricorn Coast (Yeppoon to Emu Park and Zilzie). The Zebra Group are leaders in many industries, beginning with truck wrecking and moving on to other areas such as scrap metal recycling, rubbish removal and new and second hand car parts. The group currently transports and processes over 30 000 tons of recyclables a year and collects, dismantles and recycles over 2000 vehicles per year.